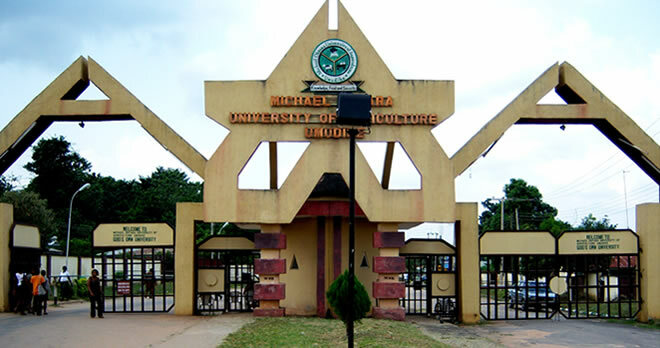 There was tension on Monday at the Michael Okpara University of Agriculture, Umudike, Abia State, as the institution’s management terminated the appointment of over 400 academic and non-academic staff employed by the erstwhile Vice Chancellor, Prof. Hilary Edeoga. Punch reported that the affected workers were being owed six months’ salary, and the remaining 25 per cent of their entitlements. The incident caused panic and chaos in the area as the workers protested after resolving to take the matter up with civil society organisations including the Nigeria Labour Congress and the Trade Union Congress of Nigeria. The sacked workers also added that they've lost confidence in the Academic Staff Union of Universities to protect their welfare. The decision to sack the workers was said to have been taken at a recent meeting of the governing council of the MOUAU. Some of those affected by the purge said they were shocked to receive the letters terminating their appointment because they attended the regularisation interview conducted in 2016 by the former VC. According to them, they did not collect their letters of regularisation before Edeoga was sacked by the Muhammadu Buhari administration. One of the workers, Chidi Nwankwo, said that immediately Prof. Francis Otunta assumed office as VC, he allegedly declared the regularisation interview inconclusive and mandated all affected staff to reapply with good reasons why their appointments should be renewed. He said, “We all reapplied, although we were apprehensive that the new VC wanted to sack most of us and replace us with his kinsmen and friends based on previous experiences. “We were not surprised when news broke out that the Governing Council of the university decided to sack all of us. We had been complaining about it right from the day he declared the regularisation interview inconclusive. Nwankwo said the former VC did not have time to sign the letters of regularisation or authorise the registrar to do same before activities marking his pulling out commenced. However, a member of the governing council of MOUAU, Prof. Ike Nwachukwu, and the ASUU chairman, Prof. Chinyere Echendu, told concluded that the decision to sack the workers was final. “It is a management decision and so it’s the VC or Public Relations Officer of the university that can respond to your enquiries. I don’t have any authority to do that. I am not denying the fact that I was at the meeting. But, after the meeting, there are statutory people who respond to such issues,” Nwachukwu said. Also, a former ASUU chairman in MOUAU, Prof. U.A.U. Onyebinama, said there was no provision for renewal in their condition of service.